The OTG in USB OTG stands for On-The-Go which a means a technology that can use anywhere, anytime. The USB OTG was introduced in 2001 which allows devices like smartphone or tablets to use as the host, means authorize third-party peripherals to work directly with the host device. It brings a revolutionary change in increasing the usability of smartphone or tablets. Now, these devices functionality and features can be expanded to carve out more productivity from them. The most common use of USB OTG in a smartphone is expanding the storage of the host by using the external USB flash drive. 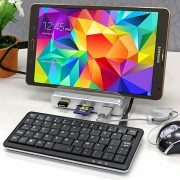 Other devices used with OTG are digital cameras, mouse, keyboard, Ethernet input, gaming pad and more… The USB OTG enabled device can switch back and forth to work as host and device. For example, the USB port in the smartphone can act as host when connected to the USB flash drive or mouse and also the same port work as USB mass storage when connected to the host computer. You can say that the USB OTG can act as master as well as slave. In other words, whenever a two USB devices connected with each other they establish a communication link, and if the one is peripheral then that becomes a slave and the device that control the other is called host or master. The host and peripheral devices used a protocol to communicate with each other known as “Host Negotiation Protocol (HNP)”. 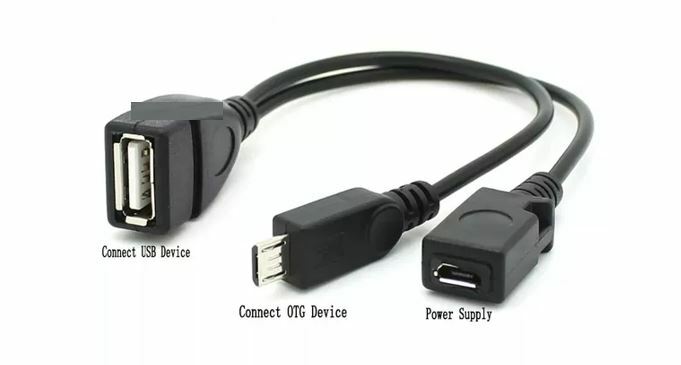 Basically, the USB OTG roles are divided into two categories: OTG A-device and OTG B-device, on the basis of this, it will decide which side of the USB OTG will act as power supplier and consumer. On the ground of the default configuration, the A-device will act as a host and power supplier while the B-device act as a consumer and mostly are USB peripherals. 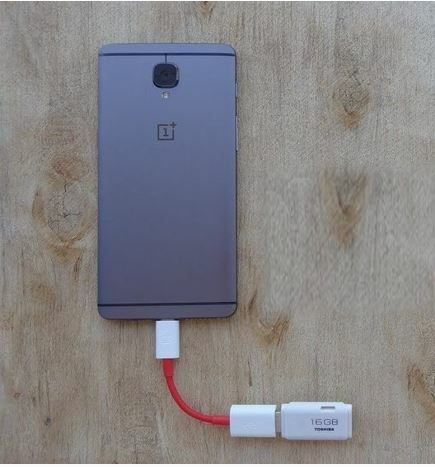 That’s why nowadays some smartphone can also act as a power bank to charge other devices. Generally, the devices support the USB On-The-Go configuration will feature the below-given logo on the packaging. For example smartphone box. There different types of OTG cables are available in the market depending on your smartphone or table configuration. For example, if you have microUSB port in the smartphone and want to use the drive then you can use Type-A to microUSB OTG adapter cable. 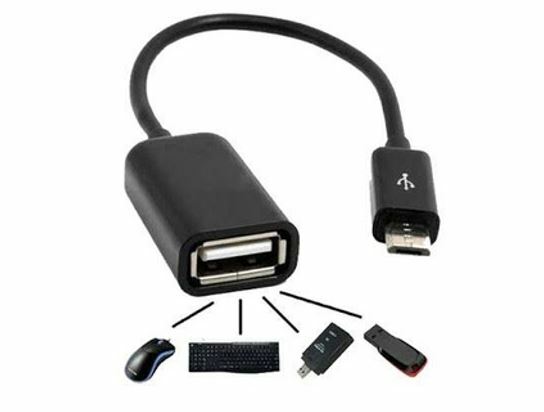 An OTG cable with female USB TYPE-A port and microUSB as a male port. These type of OTG adapter are used in the smartphones those have the microUSB, for example, Xiaomi Redmi budget series. When we use the OTG the slave or peripheral device consume the power from the host device. To solve that problem few custom cables come with an extra input port for power supply. Latest smartphones have now featured a Type-C 3.0 port for high-speed communication. First of all, you need to identify that your smartphone or tablet support the OTG or not. Information about that can get from the device manufacturer website. 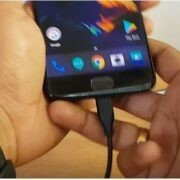 Once confirmed, purchase some OTG cable from online store or local computer accessories shop that compatible with your device. To use the USB OTG functionality, you just need an OTG adapter and connect the supported peripheral devices at one end and other with a smartphone. 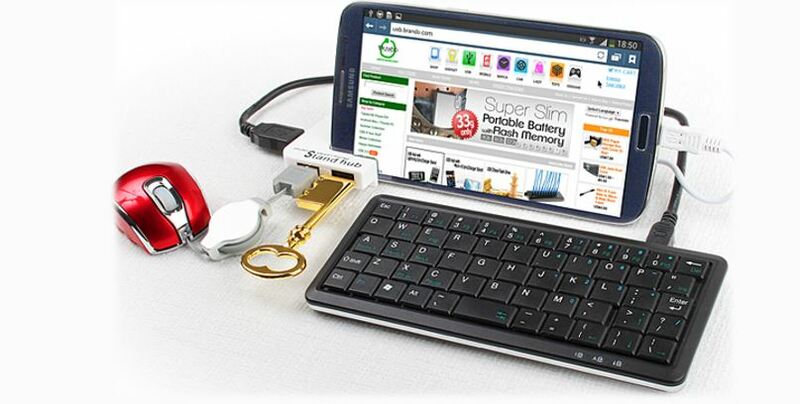 You can use the USB sticks or external hard drives with USB OTG. Moreover, the market is already flooded with a different type of flash drive those support both Type A and your smartphone corresponding port for a USB OTG support. To access the USB OTG storage, use the file manager app that allows accessing the files stored on the external storage device. You can use it as backup storage to backup photos, music, and other files from your smartphone. If you are game lover then move the smartphone gaming experience to next level by connecting a game controller. You can use differently available gaming pad to control and play the games on the smartphone, just plug them into your phone with a USB OTG cable and you are good to go without any extra configuration. अच्छी जानकारी दी आपने जो सभी के लिए बड़े काम कि है इस जानकारी के लिए आपका धन्यवाद.